As quickly as her young son had jumped in front of my path to wave and shout a friendly “hello, hello,” she snatched him back into the safety of her arms and began admonishing him while covering his eyes. I cannot help but wonder about his future reactions when he and a Westerner once again cross paths. I got to thinking about how children inherently do not care about our differences. Indeed, this is a learned behavior over time, and this boy’s mother proved her worth as a master instructor. Given the West’s historical track record in Vietnam, I can understand where people are coming from if perhaps they somewhat resent my presence. I truly do get it. Nowadays we may arrive in droves for reasons of a different kind, but the basic fact remains…we are guests in someone else’s home. I think many an expat can relate to sometimes feeling just unwelcome enough to want to pack it all up and return home to our native lands. Many Vietnamese even seem to assume that since I am Western, they can talk about me in my presence. Their stares and laughter require no translation, and if only they realized my Vietnamese vocabulary is just large enough to include their derogatory words hurled my way. Growing up in America, my mother was quick to admonish me for pointing or staring at strangers. As a young boy I could never seem to wrap my head around why an outstretched finger and lingering gaze were such uncouth manners. Fast forward a few decades and mom’s lessons once again prove correct as I now find myself on the receiving end of what in the West would be considered a gauche display of crude behavior. I think back to living in Germany and how easily my acceptance and assimilation had come. The language posed no particular challenges, and though different, the food, mindset, and way of life really were not so far off from my own. The ability to maneuver seamlessly between my American and German worlds came so naturally that feeling “foreign” remained a foreign concept. Expats in Vietnam face significant hurdles to this sort of full-on integration, and we do identify more as outsiders negotiating a confusing land. Vietnamese words prove difficult to pronounce, the food can seem a bit unusual, and thick books delve into the inherent differences between our cultures. In my case, not being able to speak the language is one of the biggest self-induced obstacles in bridging the cultural gap. Were I proficient in Vietnamese, perhaps I could have engaged the young Binh Thanh woman in conversation to prove we both are human after all. This is not to say that promoting some sort of understanding remains impossible, for repeated basic interactions also knock down barriers of mistrust and suspicion. For example, my first forays into the street market behind my apartment were met with the usual uncomfortable stares and comments. Now random strangers shake my hand with a friendly hello, and helpful shopkeepers ensure I pick out only the freshest ingredients at the local Vietnamese prices. Even my portions of barbecue beef and noodles have become larger and meatier when I squat on my tiny stool at an elderly woman’s food stand. Over time we have met each other halfway, and I am becoming part of my neighborhood’s colorful fabric. The process did not happen overnight and still remains a work in progress. Even if only in this one tiny part of Vietnam, at least I feel I am carving out a small slice of home. The American author and poet Maya Angelou succinctly observed, “Perhaps travel cannot prevent bigotry, but by demonstrating all peoples cry, laugh, eat, worry, and die, it can introduce the idea that if we try and understand each other, we may even become friends.” As frustrating and unwelcoming as Vietnam can feel from time to time, living here has opened my mind to so many fresh ideas and great experiences. To recognize and celebrate our differences is to understand that spice is the variety of life. 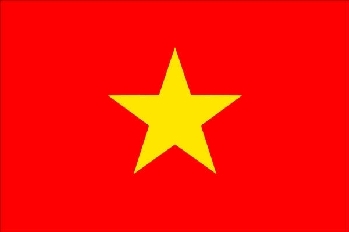 I have become friends with Vietnam.